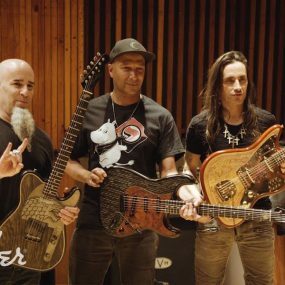 In a new interview, Anthrax vocalist Joey Belladonna recently said he would be “in favour” of more shows featuring the so-called “Big Four” of 1980s thrash metal – Anthrax, Megadeth, Metallica and Slayer. 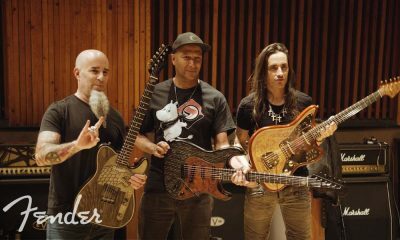 Rumours of the four bands performing together have again been rife of late, but the Anthrax vocalist admitted he was mystified as to where such rumours sprang from. The four influential acts played together for the first time in history on June 16, 2010 in front of 81,000 fans at the Sonisphere festival at Bemowo Airport in Warsaw, Poland and shared a bill again for six more shows as part of the Sonisphere series that same year. They reunited again for several dates in 2011, including the last “Big Four” concert, which was held on September 14, 2011 at Yankee Stadium in New York City. Since then, Metallica, Slayer and Anthrax have played a number of shows together, including the 2013 Soundwave festival in Australia. They also performed at the 2014 Heavy MTL festival in Montreal, Quebec, Canada.